Great tanka -- and I love the beautiful Christmas tree, Georgia. Thanks ... we've had an artificial tree since kiddo was two. 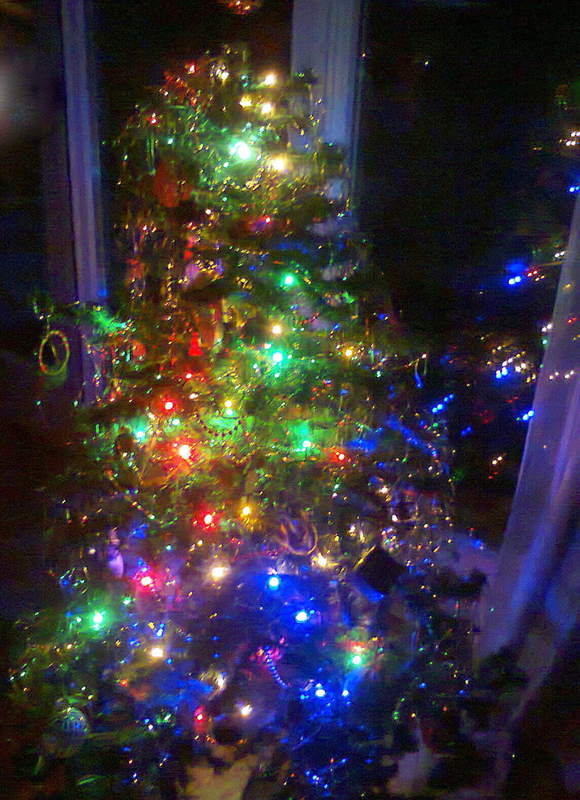 This year I put it up without the bottom branches so we could fit it in the living-room area ... I like how the lights reflect on the terrace windows! Grazie mia cara J e un felicissimo Natale anche a te!